Are you Prepared for Your Trip? Taste the crisp, clean wines and relish in the abundant natural beauty of the Alsace region. Its Germanic influence extends to food and architecture, serving up some of the most delicious foods in France and beautiful timbered houses and fortified castles. Begin your Alsatian journey in picturesque and lively Strasbourg, a World Heritage Site bordering Germany. 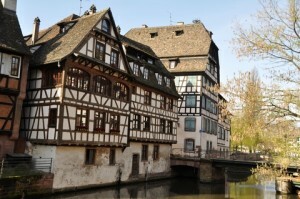 Venture into the countryside following the infamous wine route to historic and beautiful villages including Colmar. Peaceful valleys, mountain vistas and tranquil waterways will delight you along the way. Tour Dates to be Announced! Charges to hotel room such as telephone, laundry, room service, spa treatments, Internet service, etc.